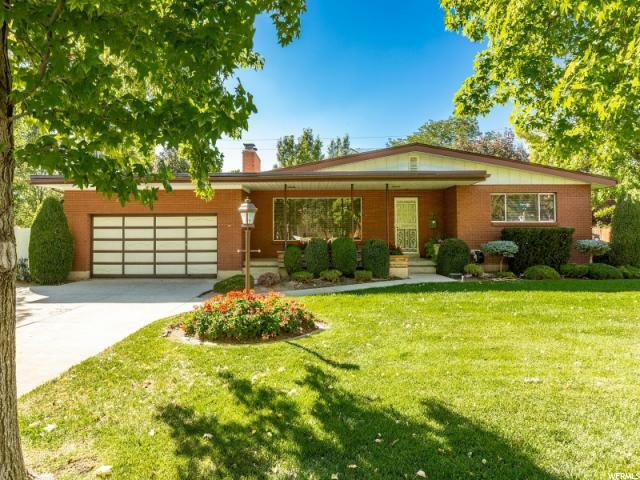 All LOUISE GARDENS homes currently listed for sale in Salt Lake City as of 04/18/2019 are shown below. You can change the search criteria at any time by pressing the 'Change Search' button below. "Location, location, location! This home has it all. From the gorgeously manicured corner lot to the beautifully maintained interiors. Framing the large windows are the well done custom built shutters. The kitchen is bright and shining with hard surface counter tops, gas stove and built in seating. This home is great for entertaining with the lovely formal living room, boasting a gas fireplace and the lovely formal dining with a built in hutch. For your convenience there is a laundry chute on the main. The down stairs will not disappoint you with a mother-in-law apartment, cedar closet, another cozy fireplace and a walk out basement. Hurry and check out the rest of this homes great features before some one else does. "